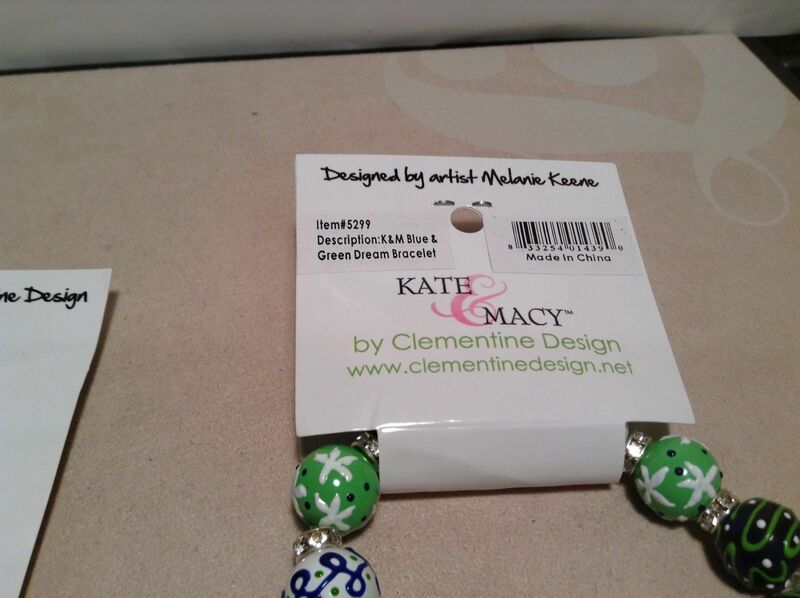 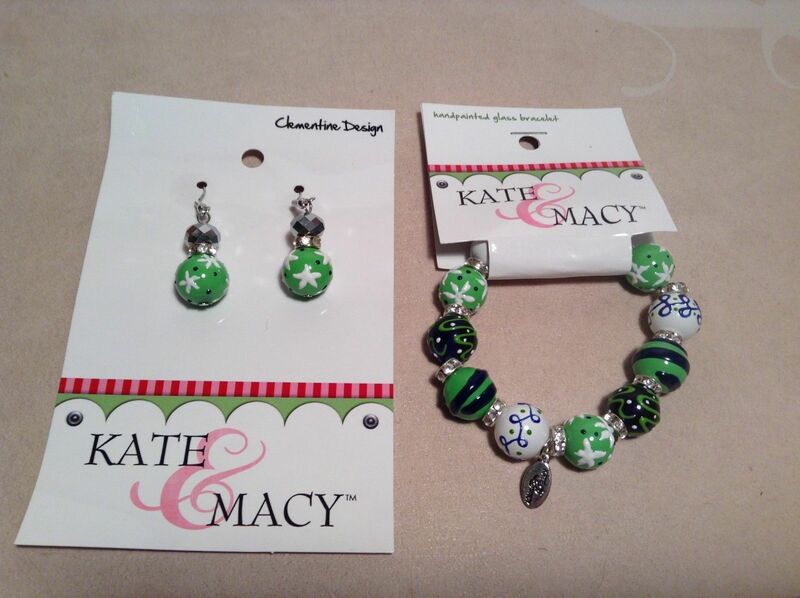 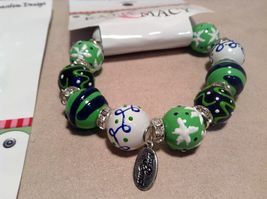 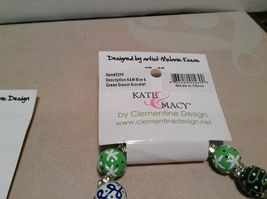 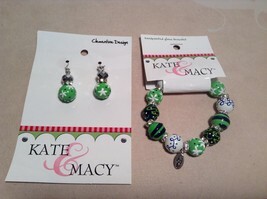 NEW 'Kate & Macy' "green, dream", hand painted, glass-beaded bracelet and drop earring set! Super cute! 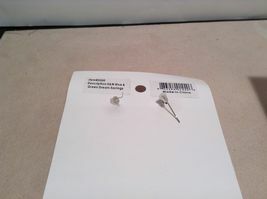 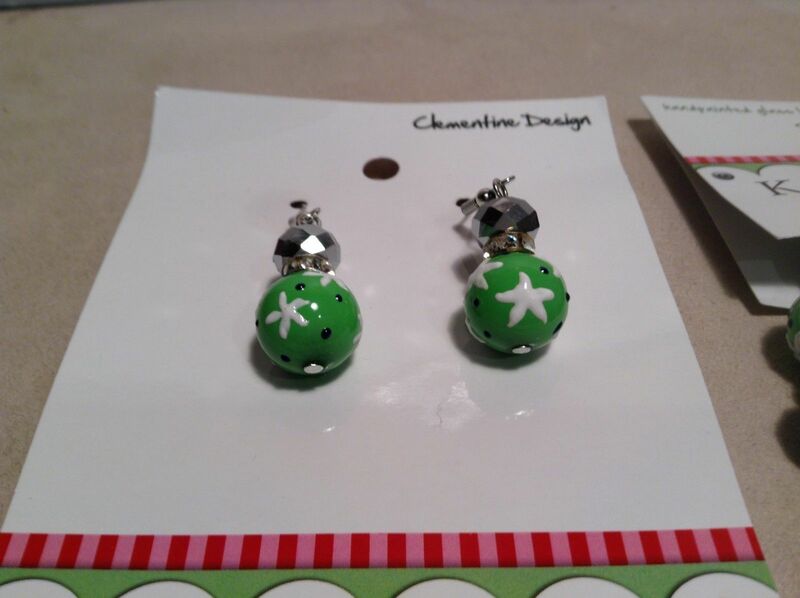 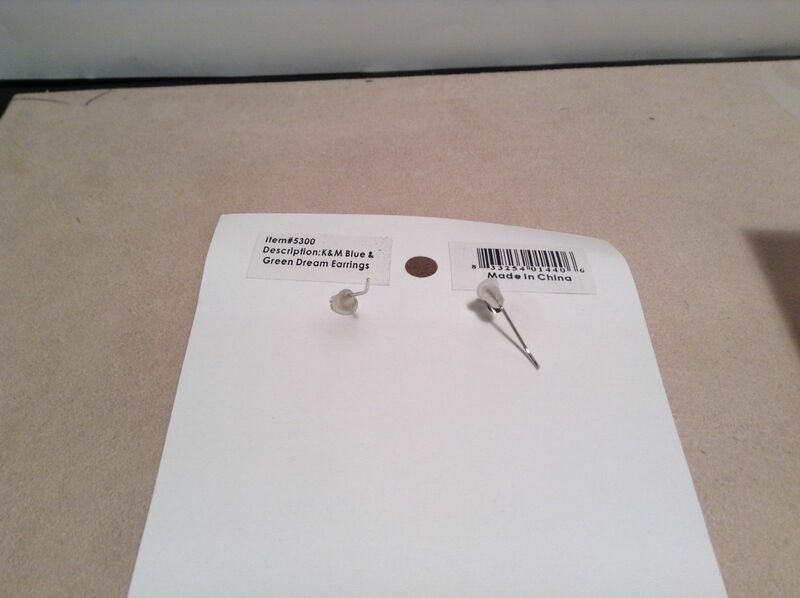 Earrings have blue and green spheres.